With the elderly population growing rapidly and living longer than ever, ASHA'S leadership team is doubling down on providing education and research to guide its members. Michael Grust likes to say that today's seniors housing owners and operators are "inventing" a business. As co-founder and CEO of Solana Beach, California-based Senior Resource Group - currently ranked No. 28 on ASHA's list of the largest 50 operators in the United States - Grust should know. He's been immersed in the industry for three decades, and his company has built up a portfolio of 32 properties totaling 5,983 units. "When I say inventing a business, I mean that senior living in today's form never existed 30 to 35 years ago. Back then, there were certain communal environments where residents of not-for-profit communities lived in retirement homes," says Grust, who began his two-year term as the chairman of ASHA in February. "As this industry has evolved, there is recognition that it is healthcare, hospitality and real estate. It's a confluence of a lot of disciplines," he adds. Grust has a reverence for the complexity of the seniors housing business model in general. "You live with your customer. You are balancing an environment where you want to compel people to move in on the independent living side with the promise of offering quality of life in hospitality and engagement. And as people age in place, you have to be able to deliver care in an environment where you are essentially responsible for people's lives." That's a tall order to be sure. Against that backdrop, Grust and ASHA President David Schless, who has been at the helm for a quarter century, recently discussed in detail the association's strategic initiatives, challenges and opportunities during a wide-ranging interview. What follows are their edited remarks. Michael, as the new chairman of ASHA, have you set any specific goals for the organization during your two-year term? Michael Grust: I wouldn't say that I have set specific or different goals. I have a commitment to continue to implement a couple important strategic initiatives. First and foremost, it is vitally important to continue to promote and educate the consumer about senior living. Where You Live Matters (an information-rich website and social media initiative launched by ASHA in January 2016 for seniors and their families) is certainly alive and well, growing and evolving. It's important to give consumers an understanding of how to go about the due diligence process when searching for a community - what to look for and what to expect. And once they've completed the due diligence process, who are the operators they can turn to? We're asking somebody to move into a communal setting. It's a daunting and emotional process. It's an industry that is evolving, and leaving your home is a complex decision. We are doing a good job of educating consumers, heightening their awareness and giving them the roadmap, the blueprint as to what's important and what to look for. The Where You Live Matters initiative is extremely important for our profession, and I am very committed to ensuring the success of our consumer outreach efforts. I will also continue to be an advocate for research and education. In my company, we are always listening, learning and looking at the long view. We're trying to get a better understanding of what the consumer is looking for. We're trying to develop a sense of how he or she wants to live, how we can be a catalyst for a better life and how we can best anticipate the needs of the consumer today and tomorrow. ASHA also has a variety of ongoing educational and research initiatives. The association continues to invest significantly in research that is focused on helping our profession gain a better understanding of our consumer. There are all sorts of things that we're learning that will ultimately help our members provide living opportunities that allow people to thrive. What do you see as the most pressing issue(s) facing both operators and owners today? Grust: We are dealing with the fastest-growing segment of the population. We haven't quite gotten to the baby boomers yet (the oldest are 72 years of age), but you are seeing a tremendous amount of new development coming on line. The critical element going forward is increasing the awareness that this is a great industry to work in. Our Achilles' heel as an industry is finding people who we can not only hire, but also inspire, set up for success and retain to serve the senior population. Let's face it: most of these communities need hundreds of people to serve this population. If you are doing it right, the staffing ratios are fairly intense. We touch the lives of a lot of people, and we need to find employees who are as passionate about and committed to serving this segment of the population as we are. While we're heightening the awareness to the consumer that this is a great place to live, we also need to emphasize to the workforce that this is a great place to work. Everybody is trying to figure out what the right formula is for hiring and retaining workers. But we're finding that inspiring people, training people and helping them realize that they can impact lives positively no matter what part of the community they are working in is just as important as hiring. There is a rewarding aspect to working in senior living. It's not just about delivering on a promise to your financial partners. When you pull back the cover, this is an industry where you can impact people's lives positively. Is ASHA the vehicle to deliver the message that the industry can be a great place in which to work? Grust: While ASHA can certainly continue to educate operators and be a thought leader for who its customers are, each company needs to figure out how to create a culture that makes it a compelling place to work and thrive. The unemployment rate is extraordinarily low (hovering near 4 percent nationally). Meanwhile, there has been a surge of development all over the country. Everybody is anticipating this age wave that is really about five years away. I want everybody to be successful. 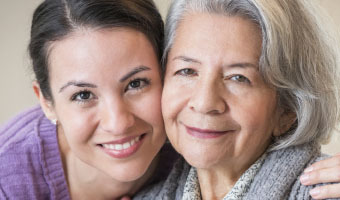 I truly want this industry to be identified as one where someone can trust that the decision to move into a senior living community - a decision often made by either the adult daughter or the senior - is going to be a catalyst for quality of life at this particular stage. So just like in any business, it's a question of how you compel people to select you. It's a word-of-mouth business too. You can do all the advertising in the world, but it still seems to be a very local business. Word-of-mouth gets out that a particular community has what it takes. In 2017, over 30,000 seniors housing units opened within the primary and secondary markets tracked by the National Investment Center for Seniors Housing & Care (NIC). In short, we have a lot of new units that have recently come on line or are in the development pipeline. Is there a limit to the pool of available quality operators to manage these new communities? Grust: Clearly, our credibility as an industry is only as good as the operators who are delivering service to the customers. This is a complex business. I first got into the business 31 years ago. Prior to opening our first community, we conducted a survey to not only identify what the market was looking for in seniors housing, but also to learn how respondents perceived the particular setting. There was total confusion. They didn't know if we were a nursing home. Early on in the business, [the concept] was very, very foggy. People would ask, "What is this, a hotel, a retirement hotel?" Then you had a surge of reaI estate developers who got into the business and said, "Well, this is great. We'll just slap on food service and fill up in 18 months." They ignored the complexity of the management model. They just assumed that you add this component and you get a rent premium. Certainly, we all know the industry has evolved to become a far more complex offering, not just in terms of what we need to deliver to the consumer, but also from a risk management standpoint. You are entrusted with people's lives. You've got to have a culture. You need to inspire and train people to understand who our customer is, what our responsibilities are and what expectations we have. We all gain by that approach. Where You Live Matters, the consumer education initiative launched by ASHA, has been up and running for a few years. David, can you tell us how the website is performing? David Schiess: In 2016, the first year we launched Where You Live Matters, we had approximately 25,000 visitors. In 2017, we had over 105,000 visitors. Through the end of June this year, we've had over 94,000 visits compared with around 40,000 visits during the same period a year ago. We've continued to invest in website content. That includes high-quality, unbiased editorial and video content for seniors and their families on a whole range of different topics. We definitely feel like we're starting to get some traction with the Where You Live Matters program. Earlier this year, ASHA added a community locator tool to the site. Was that in response to queries from site users, or was that always part of the plan? Schiess: This is more of a natural progression. We clearly have seniors and their families visiting the website. It only made sense to provide a vehicle for those who were interested in actually looking at communities. In April we added the search locator. Currently, we have over 1,600 communities loaded into the system. In all likelihood, it will probably take us much of this year to get the properties that are owned and operated by our members loaded onto the site. Consumers are able to search in the U.S. and Canada by levels of care, address, state and zip code within a 100-mile radius. They are linked directly to the communities' websites and are in a position from there to schedule visits or learn about the attributes of each community they are interested in. We've also added a blog called "Ageless Advice," which enables us to refresh the content at least twice a month. The blog is based on topics that our website visitors are most interested in. We continue to add editorial content, blog content, videos and information graphics. We can see what pieces of Where You Live Matters are visited the most by consumers. In areas that are very highly trafficked, we've refreshed the site with new data. If you logged onto the site today for information on longevity, senior loneliness, the impact of loneliness on health or senior veterans' medical benefits, you would find the information is not the same as it was six months ago. Is there one element of the site that is the most popular? Schiess: People are definitely interested in longevity and keys to a long life. After the passage of the Tax Cuts and Jobs Act, we posted some information on the new tax bill and caregiving. That was very popular. By the way, the audience is approximately 89 percent female and 11 percent male. When we launched the site, most of us expected that the adult children would be the primary users. Interestingly, while we do have plenty of adult children who visit the site, the largest number of users are over age 65. Are you surprised by the gender breakdown? Grust: No, not one bit. Schiess: I'm not either. Women make most senior living decisions. Are your members promoting the site and sharing it with others? Schiess: It's an ongoing process for us. At the C-suite level, there is tremendous awareness and understanding of the importance of better-educated consumers. By the same token, we've met more resistance than perhaps one would have expected at other levels of the company. The reality, of course, is that a better educated consumer can be enormously helpful to everyone in the business. Where You Live Matters provides factual, unbiased, non-commercial information that helps empower the consumer to make decisions that are both emotional and complex. We have been using what we call an Ambassador program. We have over 200 Ambassadors with sales and marketing backgrounds who have signed up from different member companies to help us get the word out about Where You Live Matters. As we get more communities loaded into the community search locator, it will help increase the awareness of the site. Grust: Where You Live Matters is an essential vehicle for consumer education and awareness. I believe it gives operators the opportunity to articulate why they have a community that the consumer should consider when exploring their options. Some operators in our industry have become reliant on paid referral services, and unfortunately the consumer does not always get an appropriate or responsible referral. The consumers would be much better served if they accessed unbiased information that facilitates and empowers their decision-making. This is exactly what Where You Live Matters is all about. The inaugural class of the Senior Living Hall of Fame was honored during ASHA's 2018 Annual Meeting held Jan. 30-Feb. 2. What was the genesis of the Hall of Fame? Schiess: The establishment of the Senior Living Hall of Fame was really the brainchild of former ASHA chairman John Rijos of Chicago Pacific Founders. John was watching the first NFL exhibition game of 2017 from Canton, Ohio, and it occurred to him that our profession should also have a Hall of Fame to recognize people whose contributions have helped advance senior living. John reached out to Larry Cohen of Capital Senior Living, who was serving as ASHA' s chairman, and within a couple of weeks there was a consensus among the leadership that we should make this happen. For the first class of inductees, we recognized those individuals to whom we had previously given Lifetime Achievement Awards. The inaugural class included the late Bill Colson (Holiday Retirement Corp.), Stan Thurston (Life Care Services), Jim Moore (Moore Diversified Services), Bill Sheriff (Brookdale Senior Living) and Bill Kaplan (Senior Lifestyle). Additionally, we took the opportunity to induct the late Granger Cobb (Emeritus Senior Living) with the inaugural class. Granger had a lot of involvement with ASHA and NIC and had also been a chairman of ALFA. We then decided to follow the lead of the professional sports teams and created a selection committee for the next class of inductees that will include representatives from the major industry media sources, including Seniors Housing Business. Larry Cohen is chairing the selection committee and we have a process in place that allows us to select individuals who have made significant contributions to advancing our industry. Michael, what's your take on the Senior Living Hall of Fame? Grust: It's terrific not only to learn from the past, but also to get inspired from the past. The inductees have a legacy for us to reflect upon. What lessons can we learn from their approach to the industry? After that event, I flew home with Jim Moore on the same flight. I've known Jim for 30 years. He has worked for me. His intellectual approach to research has always been a big plus in a lot of developments that I've done. Jim has an engineering background. 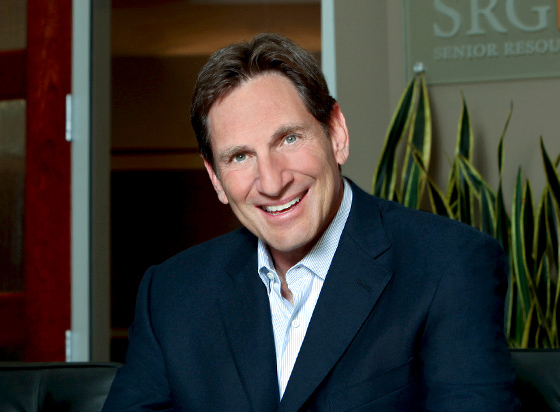 His studies are a little more complex than most, but over the years his deep dive into a lot of different areas of the senior living space - who the consumers are and what motivates them - have provided great lessons for myself and countless others. When you talk about Bill Colson, certainly he provided the model for all of us on the service side. So, I think the Hall of Fame is an important linkage. Let's go to the other side of the age continuum. What's new with the Rising Leaders program? Schiess: The Rising Leaders Program was also launched in 2016. lt was offered as a complimentary benefit to our executive board level of membership. We currently have approximately 135 Rising Leaders who have been designated by their companies to participate in the program. Many of them participated in a Rising Leaders meeting in June prior to our Mid-Year meeting. The benefits include unparalleled peer-to-peer networking and custom programming. The Rising Leaders have access to a lot of the materials that ASHA produces, including newsletters, Special Issue Briefs and research reports. We give them all 24-hour on line access to extensive archives of resources that have been produced over the years. This year we've also added severaI mentors to the program who are seasoned industry leaders. Our mentors included Randy Bufford of Trilogy, Greg Clark of Leisure Care, and Andy Kohlberg of Kisco Senior Living, each of whom participated in the Rising Leaders program and activities. It was wonderful to see them interacting one-on-one with our industry's next generation of leaders. How are the Rising Leaders selected? Schiess: We ask our board members to designate individuals who they envision in positions of leadership at some point down the road. They have designated a very diverse group of individuals. I know that the subcommittee that conceived of this program - including Kathryn Burton Gray, Mitch Brown, Lori Alford, Jacob Gehl, Christian Sweetser, and Danielle Morgan - are as delighted with the program as our leadership is. What is the age range for participants in the Rising Leaders Program? Schiess: Honestly, we didn't specify an age. In reality, most are probably age 35 or younger and most have worked at their companies for several years. Grust: People need to know when they join a company or organization that there is upward mobility. It needs to be part of the culture. Everyone is looking for talented people today. Two of my vice presidents at Senior Resource Group were both executive directors. That's important to note. We have an executive director at our company who was previously a maintenance director. As our industry expands, there are opportunities that allow people to grow within organizations. That's a wonderful aspect of this business. Partnering with leading universities to provide exclusive research is part of ASHA's mission. Can you give us an update on the research studies you currently have underway? Schiess: Dr. Karl Pillemer, an internationally-renowned gerontologist at Cornell University, conducted a study titled Partners in Caregiving in Assisted Living. It's research that is aimed at improving cooperation in communication at assisted living communities. Training sessions that focus on communication and conflict resolution techniques are the centerpiece of this work. This empirical research shows that you can dramatically enhance the experiences of both families and staff by providing training and communications skills in conflict resolution. This is an area where we think opportunity exists to both improve care and lower staff turnover. This was an incredibly successful research project. Our members, and frankly any operator interested in implementing this approach to conflict resolution, can access a lot of the training material. The findings of this research will be unveiled in the fall and will be widely disseminated. Another study that we recently completed is titled Project Thrive: Adapting Successful School-Based Strategies to Optimize Resident Quality of Life in Senior Living Communities. This study, which included funding from ASHA, Mather Life Ways, and Watermark Retirement Communities, was conducted by Dr. Mindy Fain of the University of Arizona. It was inspired by research we had done previously with Dr. Margaret Wylde of ProMatura Group that looked at the importance of feeling at home in independent living. This is an application of a framework that focuses on training both staff and residents to enhance the experience that residents have. It focuses on language, communication and socialization and has been successfully adopted in schools. Certainly, there is an element of this framework that is tied to sensory-related issues such as hearing and vision. Many of our residents have experienced some impairment with their hearing and vision. Some of the unwelcoming behaviors we probably all remember occurring in middle school and maybe high school can occur in any type of communal setting where there are cliques. And those unwelcoming behaviors do have an impact on people. Dr. Pain's work demonstrates that an operator's staff can really be involved in neutralizing those types of behaviors. ASHA has also undertaken a research project with George Mason University. Can you tell us more about it? Schiess: The study, an outgrowth of our public policy committee's work, is titled The Evolving Healthcare System: Coordinated Care and Outcomes Tracking in Independent Living and Assisted Living Communities. It's probably the first study of its kind to determine the extent to which providers are offering coordinated access to ancillary health services for independent or assisted living residents. The study tracked health and wellness outcomes and utilization of electronic health records. Andrew Carle, director of the assisted living/ senior housing administration program at George Mason University, and Dr. John Cantiello, a professor and colleague of Carle, conducted the research. The industry will find this work very interesting because it quantifies a good deal of involvement, both on the independent living and assisted living side. For example, 86 percent of independent living settings offered residents formal access to at least one ancillary health service. What in the data stood out? Schiess: There are opportunities for some providers to play a bigger role and be more involved in providing pre-acute and eventually post-acute services. We will continue to discuss the role of private pay senior living in this broader healthcare arena. Michael, about 75 percent of Senior Resource Group's 32 communities are accredited by the Commission on Accreditation of Rehabilitation Facilities (CARF). How important is accreditation in your view? Grust: Well, let me start by explaining what accreditation is. Essentially, you have a third party that audits your community and measures its performance against a thousand different standards and best practices. Frankly, from our perspective it really harkens back to delivering on quality of life. We have a huge responsibility to ensure that we are providing an environment that does adhere to best practices and has standards. Obviously, on the assisted living side communities are licensed. At the end of the day, consumers are looking for answers. They're looking for the warm comfort of knowing that this is a place that they can depend on. The adult daughter is often making that decision. She is driving that due diligence process. Accreditation is very important. You wouldn't go into a hospital that wasn't accredited. This is along those same lines. The audit ensures that an outside organization has reviewed your operation. For us, it is a great rallying point for each community when it is going through an audit. The staff rises to the occasion. We do live by it. Our operating procedures are tethered very heavily to best practices. it's been a very positive commitment that we've made. How long does the audit process take and how thorough is it? Grust: The audit itself is two days. The surveyors interview department heads and look at all of our files. We prepare for the audit, but we live by it. It's a three-year accreditation. We have a care and compliance director in our company. It takes awhile before a commtmity is ready for CARF accreditation. If we buy an asset, it takes over a year for us to make it even eligible, because we have to infuse our operating procedures into the community. How much does it cost for a community to be accredited? Grust: The application fee is about $1,000, and it costs about $7,000 to $8,000 for the actual audit. Spread over three years, that's a financial commitment of about $3,000 per year. Grust: CARF is not as well known as it should be. The accreditation process is something that a lot of continuing care retirement communities (CCRCs) and non-for-profits have lived by forever. There are only a handful of operators that have gone through the process. In general, the industry is seeking answers on how to ensure that best practices are adhered to. There are a thousand different CARF standards that are very rigorous and robust and touch on nearly every aspect of what you deliver on as an operator. The process is transparent, correct? Grust: Absolutely, and it's possible for a senior living community to fail the audit and not receive CARF accreditation. For us, the accreditation process is a rallying point for our communities. People recognize that this is a very serious quality assessment. We're entrusted with the responsibility of somebody's life. I've spoken to a lot of my peers about accreditation. The reaction of some is, "Oh my gosh, who wants to go through it?" I say, ''Why not go through it?" What better way is there to ensure that everyone is pulling on the same oar, that everyone understands how important it is for operators to deliver on these standards for the sake of our industry's credibility?